Have you thought of water lately? probably not, especially if you have it in abundance. Here are some water facts to make you think about water! By volume, the Earth is about 1 trillion or 1,000 billion cubic kilometers. All of the earth’s water comes in at a thousand times smaller, in a sphere with a volume of 1.4 billion cubic kilometers and about 1,400 kilometers in diameter – that’s about the length of Madagascar. Did you know that we only use 0.3% of the Earth’s water? 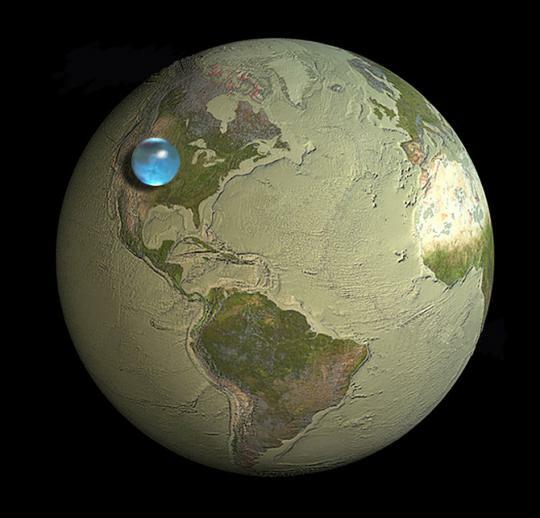 Earth has around 1.4 billion cubic kilometers of water. Bu only 35 million (about 2.5%) of this total volume is freshwater. Of the 2.5% freshwater, only 0.3% is freshwater (about 100,000 cubic kilometers) is available for humans to use – the rest is either underground or frozen. But that is still plenty, with this statistic every one of the 7 billion people on earth has access to about 15,000 cubic meters of water or 6 Olympic sized swimming pools full, per person. Despite its abundance of freshwater, at 15,000 cubic meter per person. 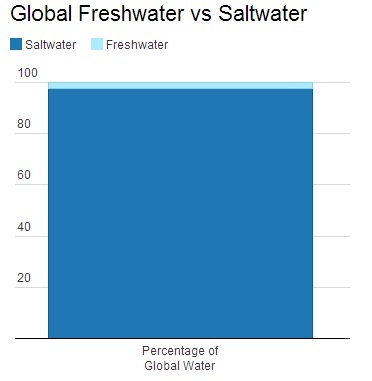 Freshwater is not evenly distributed. Latin America has the highest volume of freshwater per-capita – more than 5-times as much as Sub-Saharan Africa and East Asia, and more than 20-times as much as South Asia and the Middle East. While East Asia has a huge population which makes the freshwater per-capita figure look low, it’s clear Latin America has a lot of it. We know freshwater is unevenly distributed across the globe, but there are differences in access within countries and regions. An “improved water source” refers to something like a household connection, public standpipe, borehole, protected well or spring. “Unimproved sources” include vendors, tanker trucks, and unprotected wells and springs. “Reasonable access” is the availability of at least 20 liters of clean water per person per day from a source within one kilometer of a dwelling. In 2000, less than 50% of people living in rural Sub-Saharan Africa had access to an improved water source. In urban areas, this figure is over 80%. Of the 60 million people added to the world’s towns and cities every year, most move to informal settlements (i.e. slums) with no sanitation facilities. 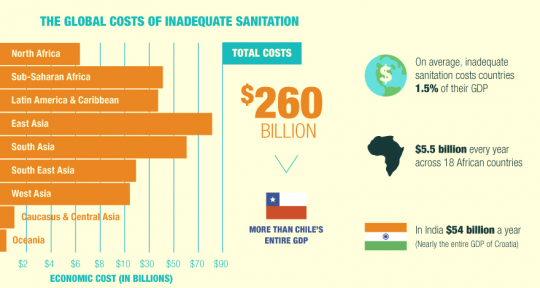 The water and sanitation] crisis claims more lives through disease than any war claims through guns. According to the World Health Organization, an estimated 1.7 billion people still lack access to clean water. 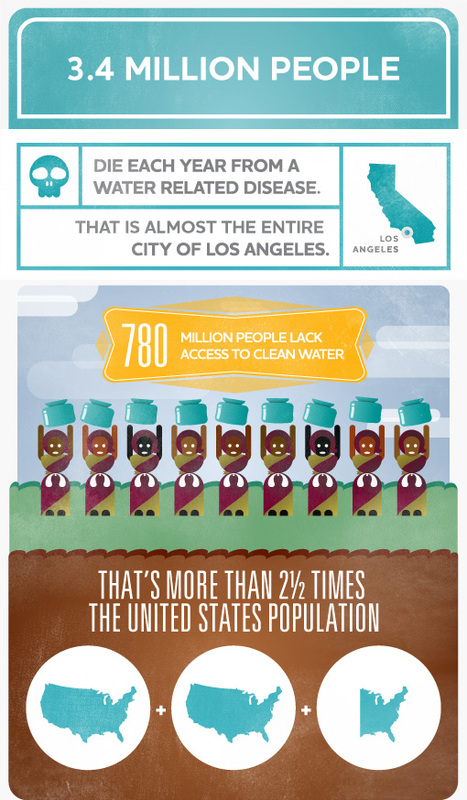 2.3 billion people suffer from water-borne diseases each year.